Searching for a new blue gaming chair? Well, I’ve got some fantastic news for you. Buying a new gaming chair is a bigger decision than you probably think. A gaming chair is much more than a mere crumby old computer chair. No, a gaming chair is much more than that. It’s a staple, a throne, a kingdom of where many epic battles and journeys will take place. Consequently, it’s a pretty big deal and you should buy a quality gaming chair that matches your gaming personality. 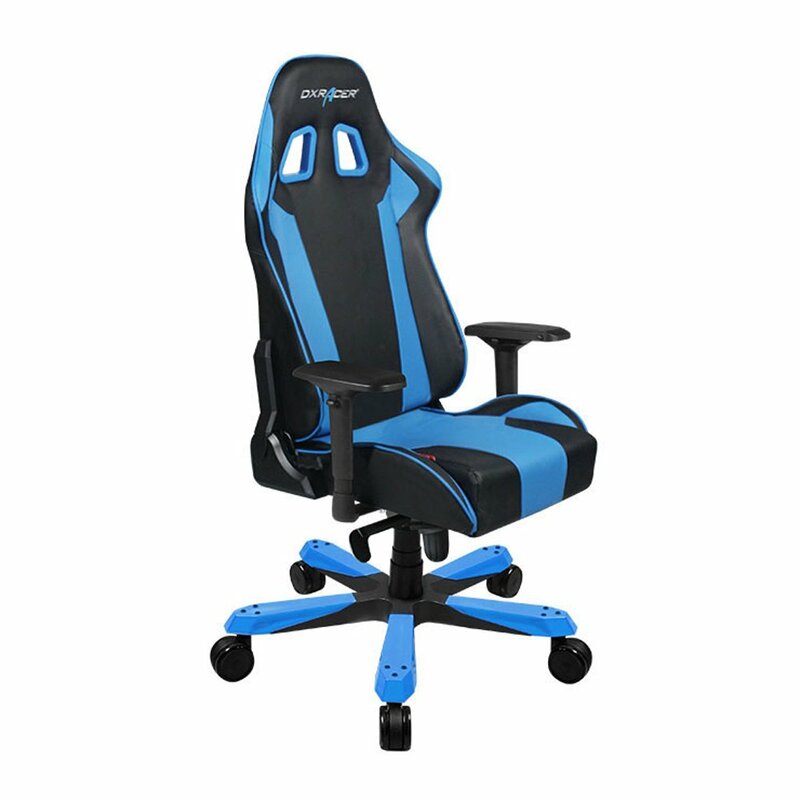 A blue gaming chair is perfect for gamers who want a sense of depth, stability, faith, wisdom, confidence and intelligence. Blue reflects people with integrity – people who are looked highly upon and revered as a leader of the pack. Additionally, it’s predominately looked at as a masculine color. Needless to say, a blue gaming chair is a solid choice for gamers who are calm, collective and potentially futuristic. Blue is the color of the future after all. Plus, it represents newness and technology because it’s not a color often found in the natural world. Except water and the sky, of course. 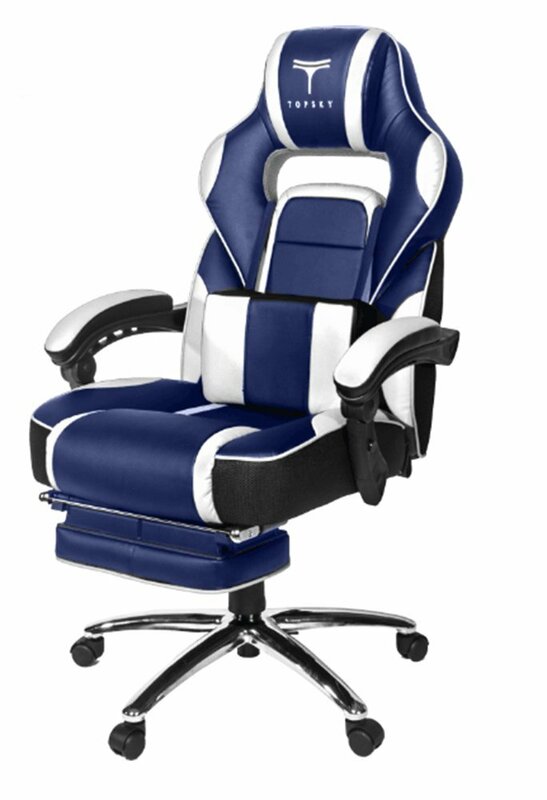 There is however, one big challenge when it comes to searching for and selecting a blue gaming chair. Where do you start, and which ones are the best? That’s where we come in. The team here at OfficeChairPicks.com is crazy about chairs and we are dedicated to finding the best ones so you don’t have to. Each of the chairs we list are carefully researched and vetted by our team of experts. You have busy missions to complete and worlds to explore. If you want to learn more, be sure to check out our best computer gaming chair picks – there’s also a guide on what to look for in a gaming chair on that post. Why waste that precious time scouring the thousands of blue gaming chairs on the internet when we do it for you? But enough about us and our ridiculous fanaticism about chairs. You’ve got teams to destroy. Anyway, well, here you go: Our team favorites of the best blue gaming chair choices. 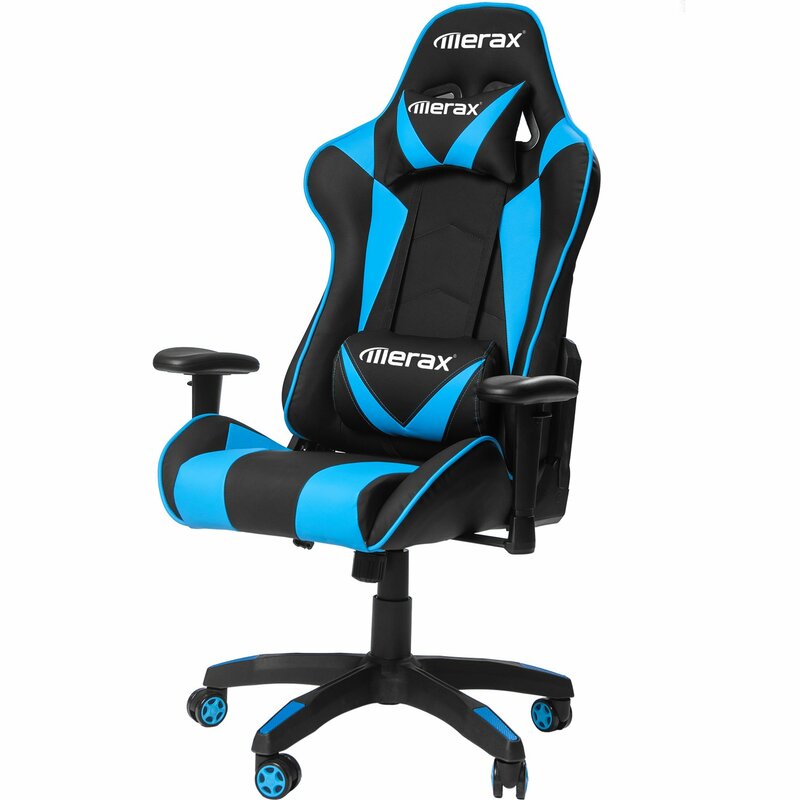 There’s not a ton of difference between this Merax gaming chair and the previous black and blue gaming chair. The only thing that sets this Merax apart from the previous one is the color scheme and the fabric-mesh material. Mesh might be a bigger game-changer than you think. Think about it – if you tend to run hot (like I do), leather typically increases body heat levels over longer periods of time because of the nature of the material. 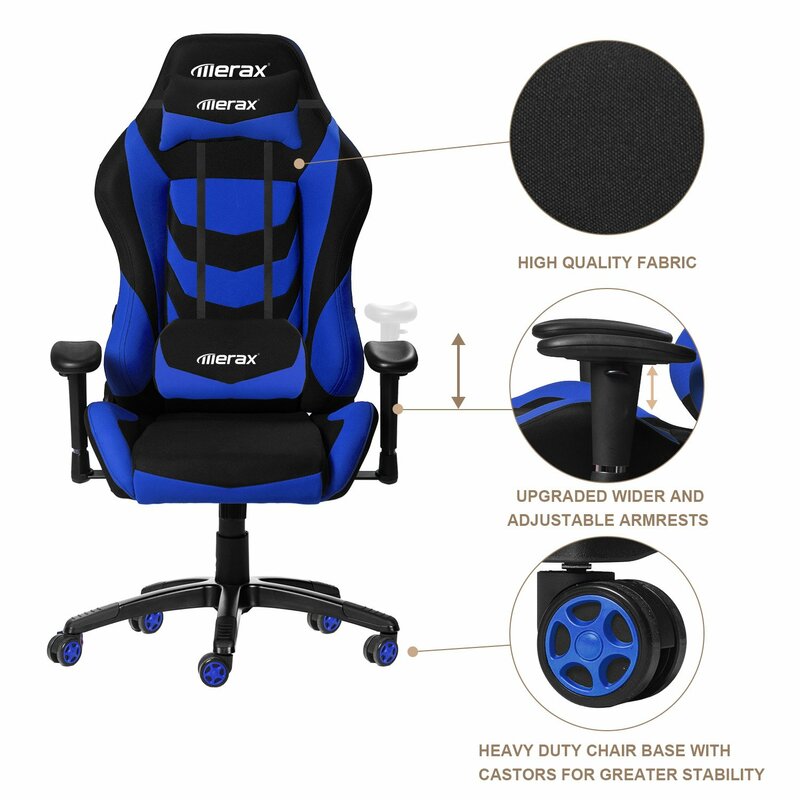 Mesh and fabric however are much more breathable meaning you’ll get more airflow with this blue gaming chair which results in a cooler sitting experience. Talk about a chair that looks like it was carved out of a super car. 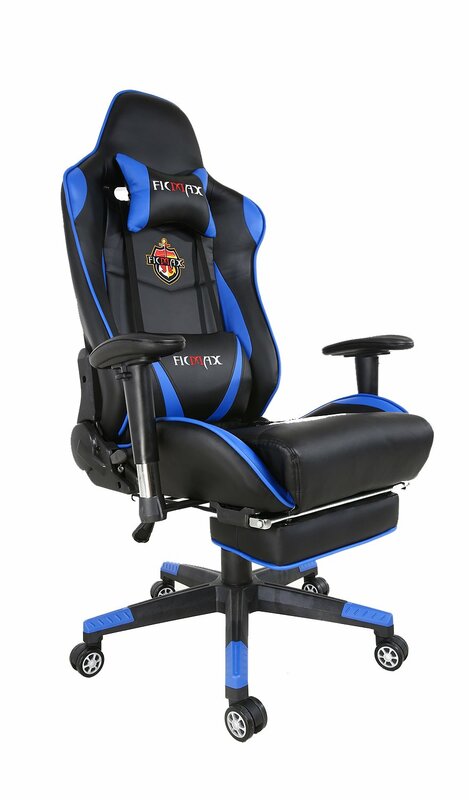 The TOPSKY High Back Racing Style Chair is simply one of the most badass looking blue gaming chairs available. 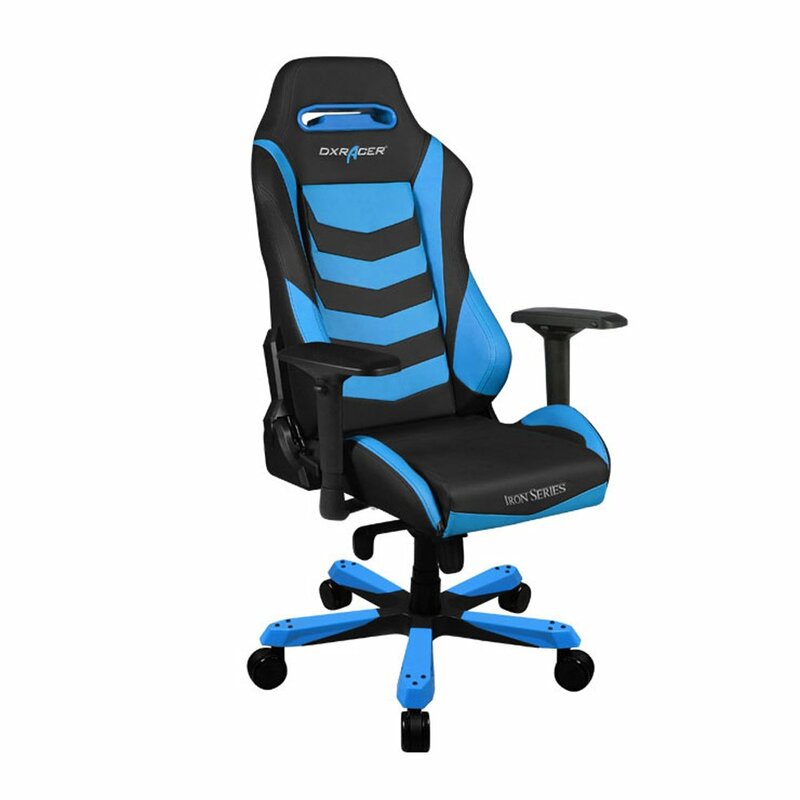 This PC gaming chair is packed with outstanding qualities and is one of the more affordable blue gaming chairs on the list for what you get out of it. Definitely a value purchase. This chair is rich with comfortable add-ons like a lumbar pillow, neck pillow, padded armrests, and my personal favorite, the leg rest. TOPSKY is a trusted brand which happened to dabble in a gaming chair for PC’s – and guess what? They did a killer job. Nothing beats being able to recline and pop out a leg rest on a gaming chair. VIBRATING MASSAGE LOWER BACK PILLOW!!!! Well, that’s all folks. 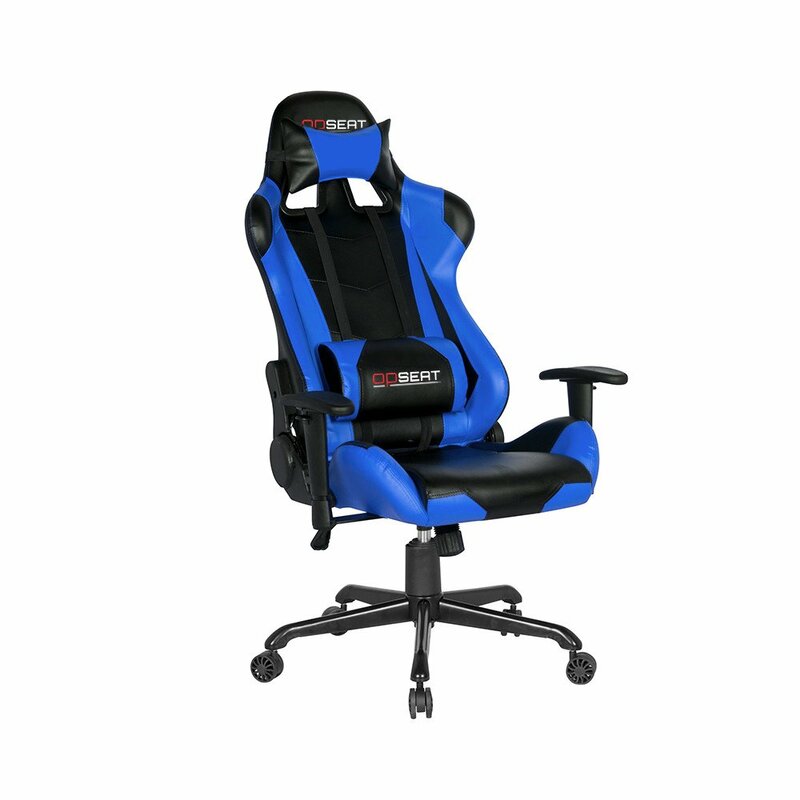 The best blue gaming chairs available on today’s market. We will continuously update this post to keep you up to date with the latest top rated gaming chairs. 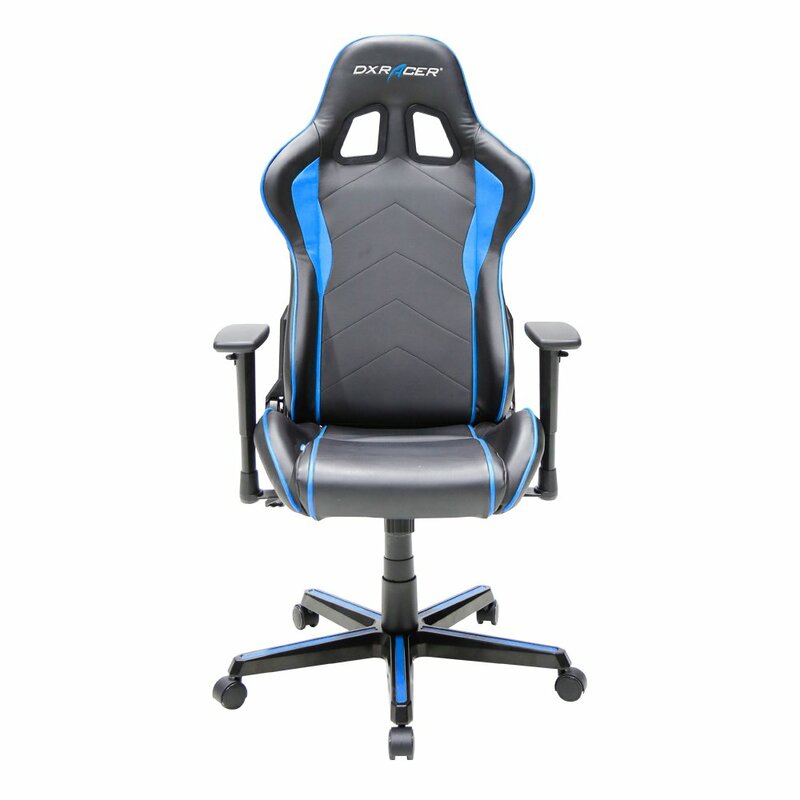 Our team at OfficeChairPicks.com hopes this article guides you through your blue gaming chair purchasing journey. Be sure to check out other posts here as well.